Thank you for your interest in donating towards the purchase of nutritional aid for the support of impoverished families. Your contribution will be used towards the purchase of lentils, rice, flour, sugar, cooking oils and much much more. Heroic Hearts Org is on a mission to provide the most vulnerable Rohingya children a safe shelter where they can study, interact and most important of all, restore happiness and normalcy. In the coming weeks we will begin construction on our fifth Heroic Hearts Orphanage in Bangladesh. The residence will be complete with a sleeping hall for the children, three classrooms and a cafeteria with a full time chef preparing fresh food. A full Hifz and Islamic studies program will be offered to the children along with STEM (Science, Technology, Engineering and Math) focused education. *Total construction cost is 20,000 This will be home for 100 children who will have space for boarding, lodging and room for studies. 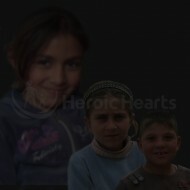 Your 200$ will go towards a lifelong contribution for one child to have residence there. The Heroic Hearts is making arrangements for daily hot meals for the Internally Displaced Persons (IDP’s) in Southern Syria. By donating as little as $10, you can ensure that one family in Daraa, Syria is provided one complete nutritious meal every for one day. The Heroic Hearts Org Iftar program supports individuals living in areas that have seen the most devastation and are extremely hard to reach. 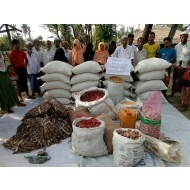 Those struggling to survive in these communities are truly most in need and are counting on your generous contribution! The Syrian Relief Fund aims to provide emergency relief in the form of food, clothing, shelter and medical assistance to affected families as well as those who have been internally displaced in the region due to continuing turmoil near their homes. Make a difference in the world while celebrating your special day. Aqiqah, an Islamic terminology, is defined as the animal that is slaughtered on the occasion of child birth. Heroic Hearts’s aqiqah pack comprises the sacrifice of healthy sheep or goat, required two animals for a boy and one animal for a girl. Aqiqah animals and meat distributed to the poor and orphans.